Is Brad Hall funny? YouTubers weigh in. When Brad Hall burst onto the sneaker YouTube scene in April of this year he was immediately one of the biggest topics of conversation. His first video, a deadpan clip called “Air Jordan IV Retro Oreo Unboxing + Review + On-feet,” has 277,379 views to date. The response from the sneaker community has been mostly positive, each of his videos has an overwhelming number of thumbs ups vs. thumbs downs. But, not everyone is amused. The sneaker community on YouTube is the source of some of the more vocal critics of Hall’s videos. That makes sense, as Hall’s stuff is clearly a satire of the type of unboxing and sneaker review content put out by those channels. One of the two channels that the Brad Hall account subscribes to is KicksGenius, which is full of reviews in a more serious tone. 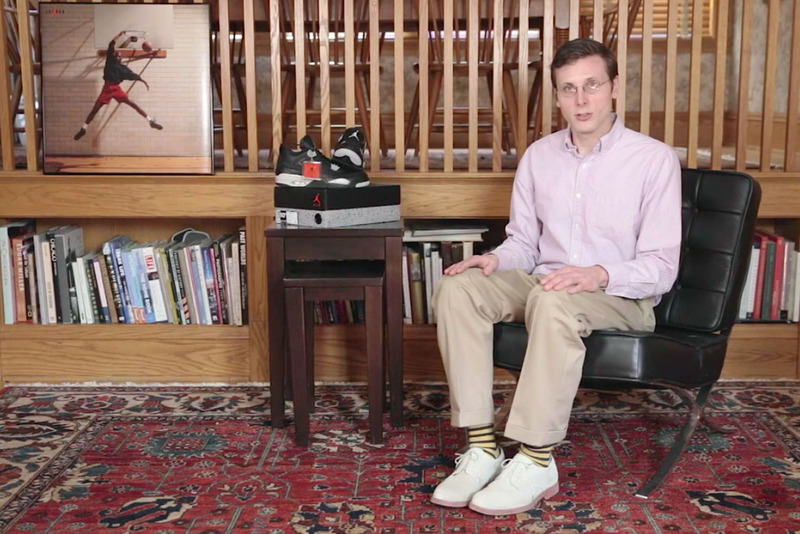 What were your first impressions on Brad Hall's videos? Chris, Nightwing2303: When I saw Brad's first video I thought it was pretty funny. It was dry and sarcastic humor while poking fun at every sneaker reviewer on YouTube—including myself. What isn't there to like? Jacques, Kustoo: I thought that the first video was funny, but now, I don't find it as appealing. It is hard to take him seriously when he keeps using the same joke. Tyler, T Blake: I felt it was a personality created by either a blog or company to help market something down the road. I’m not sure what that something is yet, but my impression is still lingering on that idea. He's definitely marketable. Cody, GTFan712: I first noticed the production value. This isn't a one-man show like most sneaker channels on YouTube. Someone is behind this. Michael, Mr Foamer Simpson: I thought his first video was hilarious. I LOL'd. The production of it was also very good. Do you think he's funny? Nightwing2303: I personally think he's funny. Like I said before, he has a very dry and sarcastic approach, and I think it works well. Some may find him to be corny, others might be offended that he's around. I just think it’s fun to look at everything as a whole and understand that it’s just sneakers. Nothing serious. We're not out saving the world, one pair of feet at a time. We're just talking about sneakers. Kustoo: Not any more. The first video was unique and that made it funny. But now it is the same joke over and over again, so it definitely has lost its humor. T Blake: Personally, I think a lot of things he discusses are poking fun at things sneakerheads in the culture actually do, including people who review sneakers. Surprisingly I saw a lot of hurt feelings about him mocking what I think some people take very seriously (reviewing sneakers). But for me, I find myself looking to see what he'll do next, as there's ample content to poke fun at. GTFan712: I do, although it would be funnier if the channel was more organic. It feels scripted, even though the end result is intended to be an organic explanation of each shoe. Mr Foamer Simpson: I thought the first video was very funny, but I think each new video becomes less and less so. He's basically re-telling the same joke which gets corny quick. As a sneaker YouTuber yourself, do you think he's good or bad at what he does? Nightwing2303: He's pretty damn good at what he does. If you're looking for humor, then he's got it. If you're looking for information then there are other YouTubers that can deliver that to you. But if you know what we're doing isn't anything serious, then I think you can appreciate what he brings to the table. Kustoo: That all depends on what you think he does. If you consider what he does making funny videos, then he is good at what he does. The production quality is nice, the script is written really well, and it looks really polished. If you consider him a sneaker reviewer, then he doesn't do a very good job at all. Whoever is behind the production is doing some great marketing. T Blake: I don't think he's really reviewing the product per se, so much as putting on a show around product. I try to make videos to help people make purchasing decisions or learn about sneaker history. Anyone has access to making videos, and content can be created in many different mediums and styles—there's not right or wrong, good or bad way to make sneaker videos in my opinion. GTFan712: Considering the production value of his content surpasses a majority of today's sneaker videos and channels, he's good. I would love to see his production quality applied to informative videos on current releases, rather than satirical videos on old Jordan Retros. Mr Foamer Simpson: I think he's good at what he does. He definitely plays the character well. Do you see him being around long? Nightwing2303: I can't really predict that. There have been a lot of sneaker reviewers on YouTube. Most are gone, but there are a few good ones that remain. We don't really know what he's all about, so it's hard to say. This could all be an act or it could be something he's passionate about. We don't really know. At this point he's done a good job at poking fun at reviews, and just recently performance reviews. Maybe we'll see him branch out into customization or restoration? He'll definitely have to keep switching things up—as we all have—if he plans to be around for a long time. Otherwise, I think people will lose interest. But for the time being, I think he's funny and enjoyable. Kustoo: I think he will be around as long as the marketing company or production company behind it sees fit. The sneaker blogs are sharing his work because it is a novelty at the moment, but after that wears off, the sneaker blogs will stop sharing it. Without the sneaker blogs, he really doesn't have an audience. If for some reason he is actually being honest with these reviews, he will only be around until certain sneaker blogs find him to be a threat. Right now it is funny to everyone, but there are a ton of YouTubers creating incredible content that the sneaker blogs don't share for whatever reason. T Blake: It’s certainly hard to keep making videos. I think I've done almost 700 in the last two and a half years, and it’s really difficult to be consistent. That being said, there’s a place for anyone to make content, and it’s not like Youtube will ban him from uploading, so he will be around for however long he can keep making content. I just hope juggling an extensive love of PBS and a child doesn't wear him out too bad. GTFan712: Viewers are enjoying his satirical approach to sneaker videos, so as long as he (or whoever is writing for him) can keep the content new and the laughs flowing. I don't see the channel disappearing anytime soon. If the same jokes are used over and over, i.e. "Michael Air Jordan dunking," it could get stale. Mr Foamer Simpson: He'll be around for as long as he wants to be. The thing with YouTube is no matter what the content is there's somebody out there who wants to watch it.